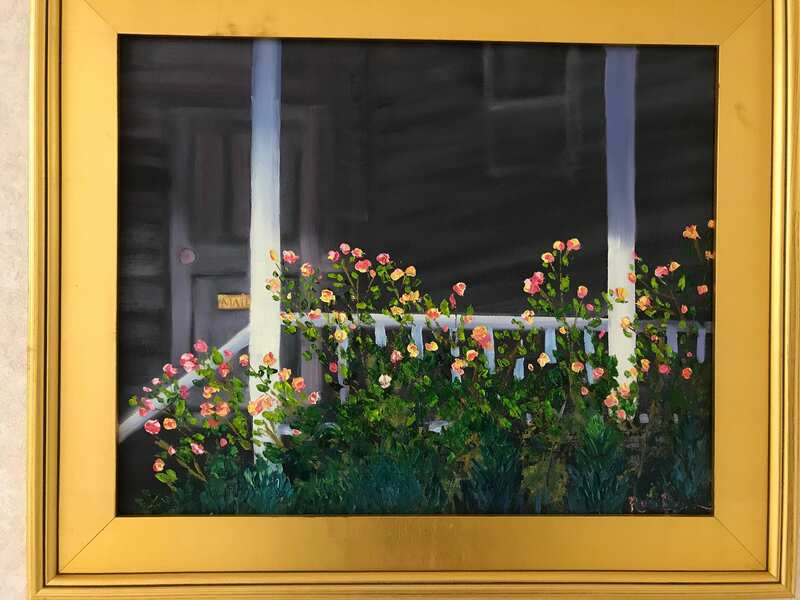 THE FRONT PORCH is an original 16" x 20" Unframed oil painting. 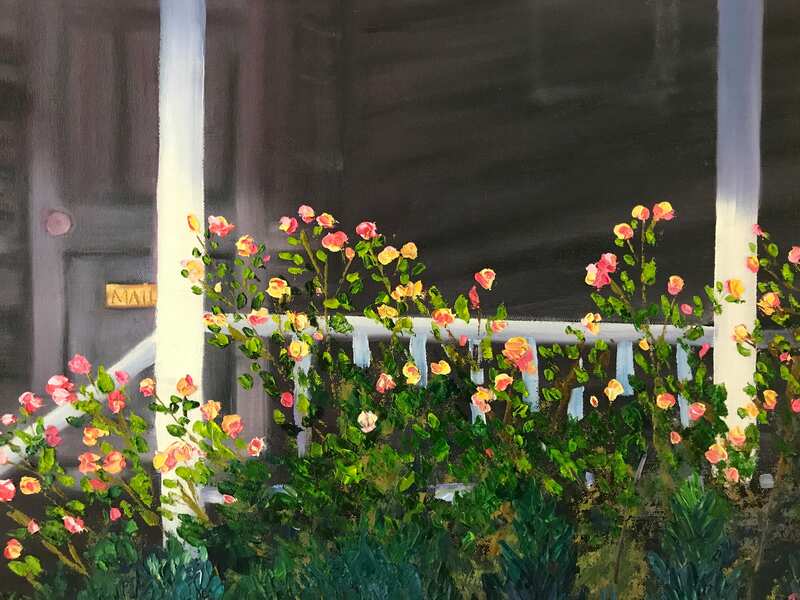 It is a wonderful picture of roses spilling over the railing of a front porch. The porch is a typical one in the Midwest and was painted from one in our local Indiana town. The flowers are bright pink and yellow roses, along with one red rosebush. The porch looks so inviting, you just want to sit in the rocker and watch the world go by. The flowers look so real, you can almost smell them. This painting is Very attractive and would brighten up any room. The colors are striking. 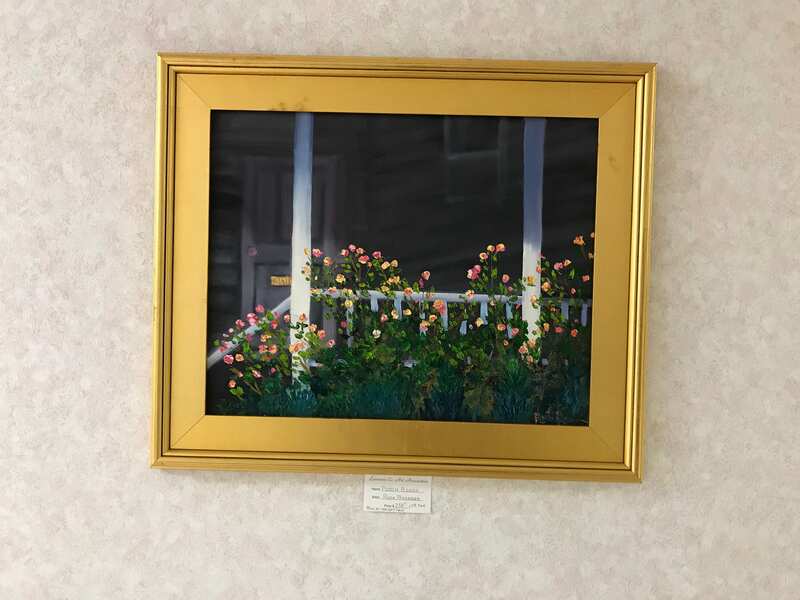 One picture shows the painting framed. This is to show how a frame sets off the vivid colors of the painting. Even though a frame is not included, if a frame is wanted, please send an email and we can negotiate a revised offer. This is a very attractive painting that anyone would be pleased to own.